If you're a game modder or just a developer who wants to dabble in gaming code, then look no further than the latest Doom announcement. John Carmack, the founder of Id Software has released the entire Doom 3 source code under the GPL3 license. Doom 3 was first released in 2004 for Windows. It later made its way onto Linux, Mac OS X and the original Xbox. Over 3.5 million copies of the game were sold making it the most successful game for Id Software. 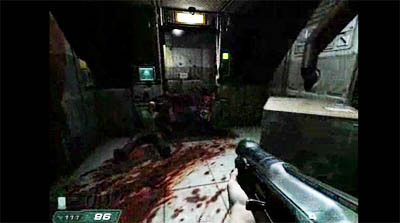 Doom 3 brought Doom back into the spotlight after 11 years since the original and ground breaking Doom game first appeared. The original Doom game was deemed the first game to popularize the FPS (first person shooter) genre which sparked many FPS games to come including Quake, Modern Warfare, Battlefield 3 and others. It used revolutionary 3D graphics which were at the time (1993) superior to any other game around. Doom was one of the first games to introduce networked multiplayer. As a result, employee productivity dropped drastically in every IT office around the world! The GPL license is probably the most widely used software license. Under the agreement, developers must agree to distribute the derived work under the same license terms terms.